Cody's musical career began at age 9, playing piano in a small church. Teaching himself to play multiple instruments, by age 17 he was performing in local Honky Tonks. Even then he knew what he wanted to do and never stopped pursuing his dream of becoming a singer. He spent two years as the bass guitarist on tour with the legendary Lynn Anderson. 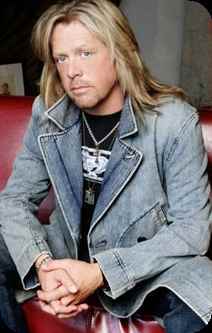 The next stepping stone to recording his dream album, "Pace, Love & Coondawgs", was playing piano with Confederate Railroad, which he is currently doing while promoting his own music. 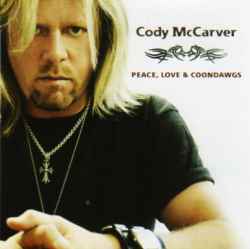 I think you'll find that the songs Cody performs on his new album, "Peace, Love & Coondawgs" can almost define who Cody McCarver is. I felt as though I'd learned something about the man as well as the artist from his choice and variety of the songs; from "Red Flag" which is a parody warning women what to avoid when choosing a man to the soulful and heartbreaking, "Look What You've Done", which he delivers with his full heart and soul. Being the ballad lover that I am, "Look What You've Done" reached out to me instantly... and is worth the purchase of the entire CD on it's own! Oddly enough, I started writing the above review before reading up on Cody's history, which for me is a normal thing. I concentrate on the music more than the personality but as I tried to convey what I'd felt, I knew there was somthing missing.. something I couldn't explain.. so I started reading his biography. If I hadn't heard the album first, I would have been completely shocked... but having heard his heart in his music, I have to say, I'm not as shocked at what he's endured as I am that he was able to make me "feel" a part of his soul from his music. With all that Cody has endured, it's amazing that he's survived, let alone convey his laughter and tears in his music... that's no small achievement. Cody said, "My life has been a roller-coaster. My father is in prison serving a life sentence and my mother has been in rehab 11 times, so I'm not in the habit of judging anybody. Everyone has one of those days every now and then and they think no one understands what they are going through. The music on this album is my way of saying, 'I know exactly what you're going through and I'm right there with you'". Well, that explained to me why I felt so much emotion from Cody's music. It's real... it's embedded into his heart and soul. Cody took his pain and turned it into something positive as well as cathartic for himself and his listeners. His music is honest and straight-forward. He'll make you laugh, cry, cuss, and think... but most of all... feel. 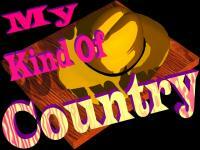 Cody McCarver IS the ultimate walkin', talkin' country song and he's My Kind of Country! Buy "Love, Peace & Coondawgs" Here!